By Melissa Lennig on January 17, 2013 13 Comments. This content contains affiliate links. As an Amazon Associate I earn from qualifying purchases. In winter, food and water become scarce for many species of birds. Bird feeders not only provide essential nourishment for winter birds, but provide people with free entertainment (and therapy!). How delightful it is to listen to the chattering and songs of the Black-capped Chickadee or the Northern Cardinal, and to watch the greedy Blue Jay bully the other birds away from the feeder. We keep several bird feeders in our yard, but decided it would be fun to treat our feathered friends to extra winter treats—using winter elements! 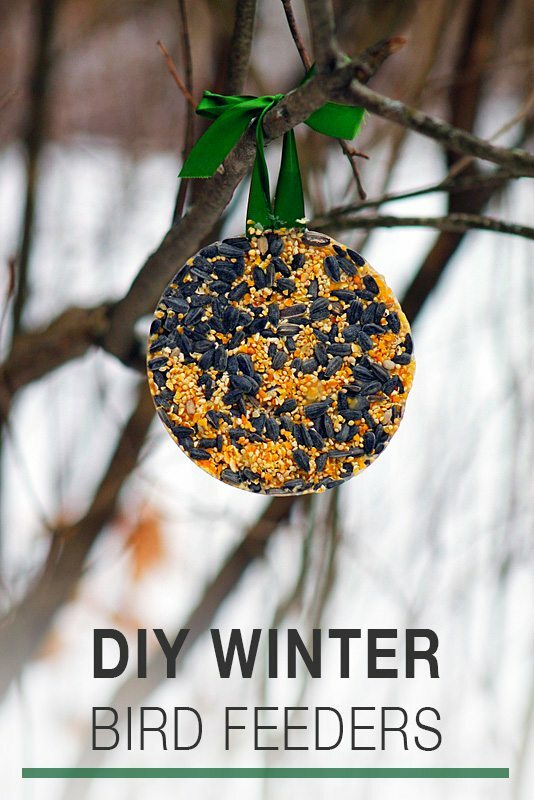 Shared below are some ideas for easy DIY Winter Bird Feeders. Kids will have a great time putting them together! Are you following Fireflies and Mud Pies on Pinterest? Feeding birds teaches children empathy skills, care, and respect for wildlife. Additionally, it instills a sense of wonder and amazement of the natural world. Imagine teaching your child how sitting by a warm window to watch the birds feast can calm down their upset feelings, reduce stress, or help them to work out confusing thoughts! What a positive, powerful coping skill! To make an Ice Ornament Feeder, pour ½ cup of water into a plastic bowl (I used Green Eats bowls). Add about 1 cup of seed to the water and mix well. Next, cut 2 strips of ribbon and tie them together on one end. Place the knotted end into the water. 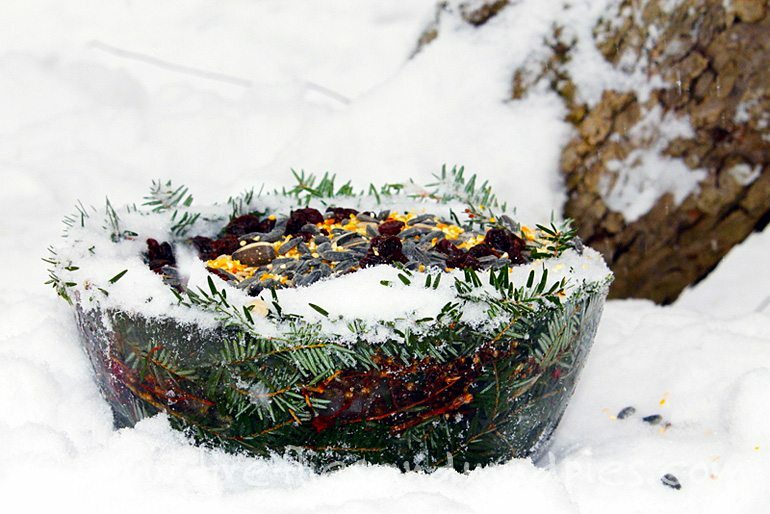 Freeze the bowl overnight outdoors or in the freezer. The ice ornament should pop out easily if you gently squeeze the plastic. Hang the bird feeder on a nearby tree! When the snow has warmed midday, it should become cohesive and packable. 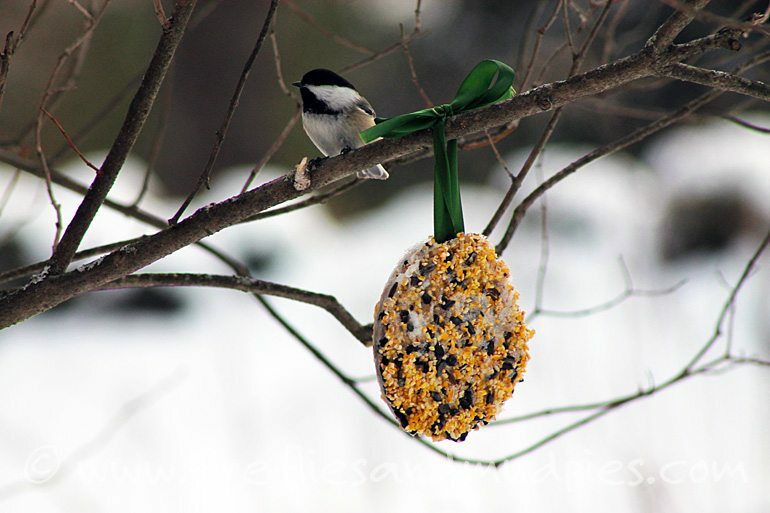 Sculpt a bird feeder into whatever shape you desire. 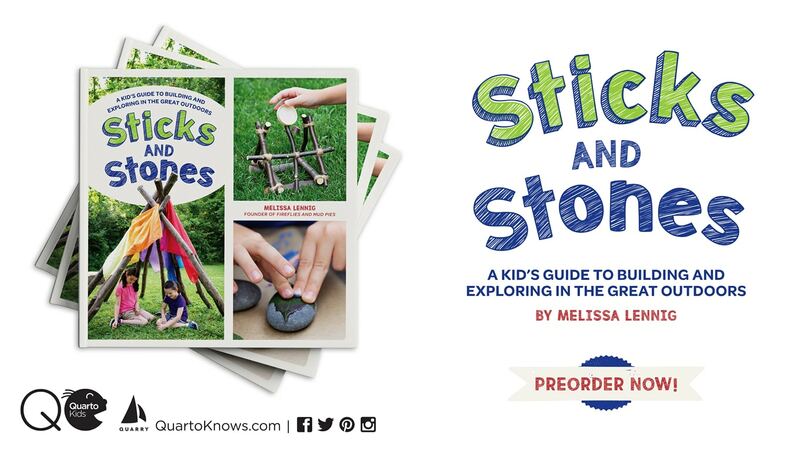 Ideas include a snowman, a hollow tree stump shape, or the shape of a bird bath. 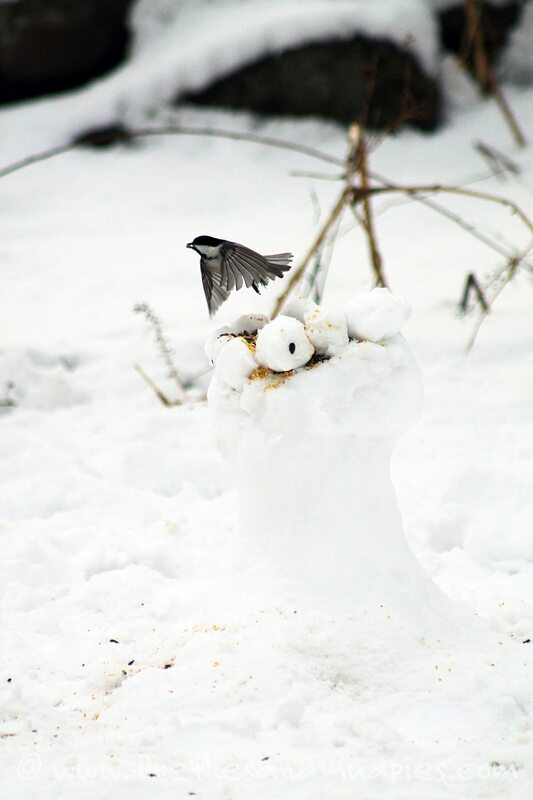 Fill the snow sculpture with bird seed and watch the birds flock to it! Pour about 1 cup of water into a large mixing bowl and freeze it outside overnight or in the freezer. When frozen, place a smaller mixing bowl inside of the larger one, on top of the ice. Place something heavy, like a bag of brown sugar, inside of the smaller bowl to weigh it down. Next, fill the space between the large bowl and small bowl with berries, leaves, small pine cones, twigs, and pine branches. Pour water over the decorations to the rim of the large bowl and freeze. When frozen, hold under warm water to release the bowls from the ice. Fill with bird seed and enjoy. Loved the ice bird feeder idea. I would never have thought of that one. Just waiting for some snow now! !